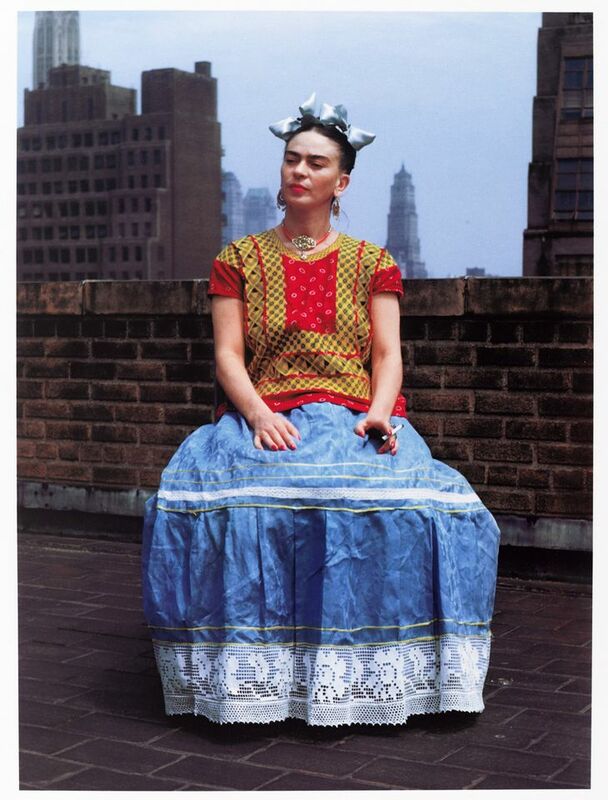 Nickolas Muray's Frida in New York, (1946) (printed 2006) Photo courtesy of the Brooklyn Museum and © Nickolas Muray Photo Archive. A show opening at the Brooklyn Museum in New York aims to explore how the Mexican artist Frida Kahlo crafted her image to reflect her political beliefs and culture, and also deal with the physical disabilities stemming from a traffic accident in 1925. The exhibition, Appearances Can Be Deceiving, is named after a drawing that Kahlo made following the incident and reveals the profound impact of the event through more than 100 of the artist’s personal objects. 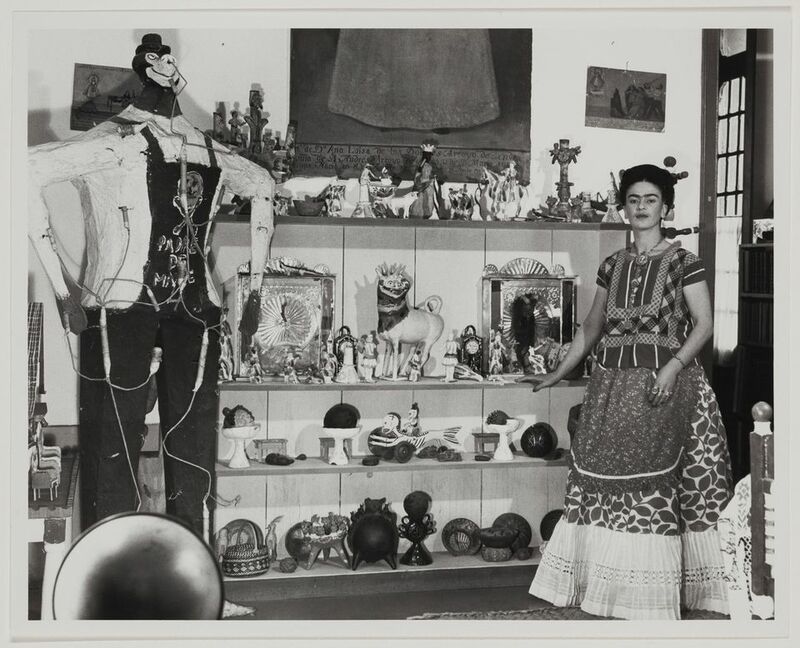 Most of these items had been locked away in Kahlo’s bathroom in the Casa Azul, Mexico City—where she lived with her husband, the muralist Diego Rivera—and remained untouched for five decades after her death in 1954. They came to light in 2004, when art historians began making an inventory of the thousands of objects. The exhibition is based on the Victoria and Albert Museum’s blockbuster Kahlo show last year, which proved so popular that it was extended by two weeks and was open for 48 hours towards the end. 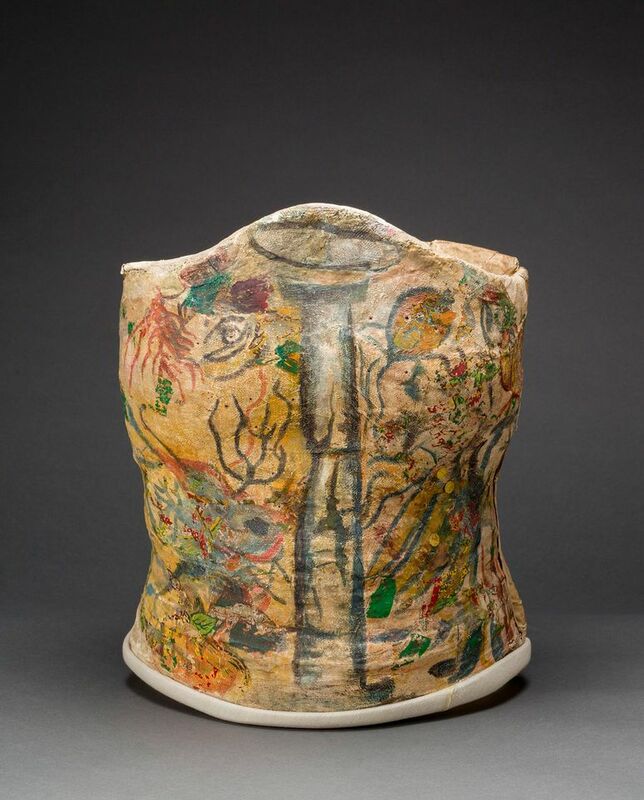 Among the highlights picked by the curators Catherine Morris and Lisa Small are a hand-painted plaster corset Kahlo made in 1944, on which she depicted her spine as a broken column surrounded by flowers and fruit; a ceremonial headdress, known as a “huipil grande”; and a floor-length skirt set worn by women of the Tehuantepec region of southern Mexico. The show also includes paintings, drawings and personal photographs, as well as portraits by the photographers Edward Weston and Manuel Álvarez Bravo. Meanwhile, in Boston, the Museum of Fine Arts has organised an exhibition, featuring more than 70 objects, that focuses on the relationship between Kahlo’s paintings and Mexican folk art. The exhibition also aims to present Kahlo as someone who “collected and championed traditional Mexican art as a celebration of Mexican nationalist culture, seizing their political significance and incorporating their qualities in her paintings”, says the curator Layla Bermeo. The show, titled Frida Kahlo and Arte Popular, includes around 40 pieces of folk art on loan from the San Antonio Museum of Art that are similar to the ceramics, textiles and figurines that Kahlo collected. These will be paired with eight paintings on loan from institutions such as New York’s Museum of Modern Art and the Los Angeles County Museum of Art. Among the paintings by Kahlo is one her most famous works Self-Portrait with Thorn Necklace and Hummingbird (1940), shown alongside a series of large-scale floral pictures, and her early piece Dos Mujeres (Salvadora y Herminia) (1928) from the museum’s own collection. A section of the exhibition will explore how ex-votos—small paintings made on tin by anonymous artists as a religious offering, that are also known as retablos—inspired Kahlo, who had more than 400 ex-votos in her collection. In this section will be Kahlo’s The Suicide of Dorothy Hale (1938) bearing the inscription “this retablo was executed by Frida Kahlo”. Bermeo adds that the show offers visitors a rare opportunity to see Kahlo’s works in the flesh. “While representations of Kahlo appear on tote bags and t-shirts, the experience of viewing an original painting by Kahlo—let alone an exhibition with multiple works—remains quite rare,” says the curator. The main sponsors of the Brooklyn Museum exhibition are Revlon and Bank of America. The MFA Boston show is supported by the Darwin Cordoba Fund for Latin American Art.